If you have been fluctuating between diets and can’t seem to find something that works for you, the health benefits of juicing may prove to be just what you’ve been looking for. Decades ago this was seen as a ‘hippie fad’; you knew that if someone was into juicing they were extremely health-conscious. 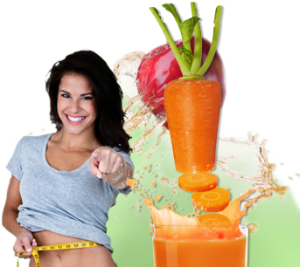 This is no longer the case, and people of any background and diet plan can enjoy the benefits of juicing. The wonderful thing about this lifestyle is that it’s all natural – there’s no need to worry about processed foods or refined sugars. Healthy adults are recommended to eat approximately 4-5 servings of fruits and vegetables every day, and it has been estimated that only 32.5% of American adults are getting their recommended daily intake. One of the major health benefits of juicing is that one serving of juice packs in anywhere from 3-8 servings of fruits and vegetables. If you’ve found it hard to consume fruits without a sugary fruit dip or can’t seem to eat your greens without a high-fat dressing, then juicing is for you. 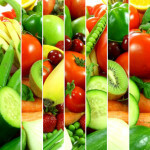 A common concern of consuming too much sugar from fruits is diminished when juices are mostly filled with vegetables, using fruits to add in a bit of sweetness to combat the bitterness of greens. Whether you’re looking to improve your eyesight, gain more energy, lower your blood pressure or cholesterol, cleanse your liver, or just simply lose weight, there are plenty of juicing recipes out there for you! 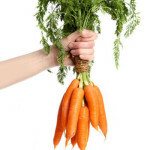 One of major health benefits of juicing is that since all of the fruits and vegetables are processed in their raw form, all of their enzymes are still intact. This doesn’t remain true for fruits and vegetables cooked at high temperatures, since cooking them reduces or completely destroys their enzymes. While the body naturally produces enzymes, its supply needs to be replenished on a daily basis; if the supply isn’t replenished through foods you consume it must take enzymes that are already stored, which decreases your metabolism. 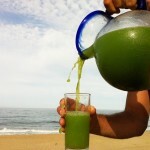 Consuming enzymes through freshly juiced fruits and vegetables increases both your metabolism and your energy. Many fruits contain insoluble fiber, which is difficult to digest and therefore difficult on the digestion system. Since juicing removes the fiber, you are left with a healthy drink that has a highly concentrated amount of vitamins and minerals – a much higher amount than you could get by eating the whole fruit or vegetable. Consuming these nutrients allows your body to bypass the necessary digestion process for whole foods, which allows for these nutrients to be absorbed much faster. Studies have shown that people with a diet higher in fruits and vegetables show less signs and symptoms of depression than those whose diet isn’t as high in these nutrient-rich foods. Symptoms of depression have been associated with deficiencies of calcium, folic acid, iron, magnesium, and potassium. By juicing, you ensure that you are getting enough of these vital nutrients to maintain the amount essential for a healthy mind and body. Yes, yes! Again with the concentration of vitamins and minerals in fresh juice. The benefits are never-ending. Because a serving of the juice extracted from fruits and vegetables contains a highly concentrated amount of antioxidants, they combat the negative effects of free radicals at a higher rate. Free radicals are molecules that damage healthy cells in the body. 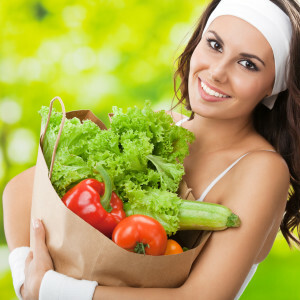 The purpose of antioxidants is to stop oxidation and deactivate free radicals before they can cause any damage. This slows down the signs of aging which allows you to both look and feel younger. Having the right balance of vital nutrients in your body allows you to gain a natural burst of energy that you can’t find anywhere else. Getting all (or most) of those nutrients in one drink is a quick way to prepare you for the day. Starting your morning with a fresh juice is the perfect way to make sure you are well energized and won’t crash later on – as opposed to coffee and energy drinks. 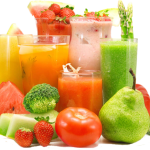 Regardless of why you are interested in starting to cleanse your body through juicing, there is a combination of fruits and vegetables that is perfect for you. The myriad of juicing recipes available to you on the Internet is a good place to start, but get creative and start mixing your favorite fruits and vegetables together! 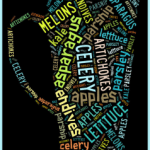 To reap most of the health benefits of juicing, drinks should consist of mostly vegetables, with a fruit or two added in for sweetness. Eating healthy foods will lead to a healthy body; the more of these vitamins and minerals you consume, the healthier, happier, and more energetic you will feel. So what are you waiting for? 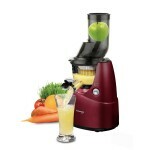 Start enjoying the health benefits of juicing today!